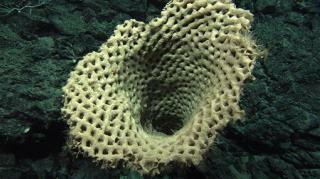 Ancestor of All Animals: the Sponge? (Newser) – Sea sponges don't get much respect—or even much use as sponges any more—but humans and every other complex animal on the planet may owe our existence to them, according to new research. Scientists believe primitive versions of the filter-feeders, which can survive in water with very low oxygen, helped oxygenate the deep seas by consuming organic matter, creating conditions ideal for other life forms to evolve, reports Fox, which notes that the findings made sponges a good candidate to be the "Animal Eve" from which all today's creatures evolved. "Scientists believe" but never witnessed the incident, or incidents. How is that "science" different from faith?